Facebook does what it does pretty well, and it seems to, on the whole, be holding its ground a lot better than Myspace managed to. Livejournal is a cul-de-sac for nostalgia addicts; Plurk is a niche; some of the PHP forums are haunted by troglodytes who can just about bash out their name on a keyboard; and a whole host of other sites which tried to be Facebook without being Facebook have ended up in the graveyard of not-even-nearly-rans or interesting data-peaks on some siloed internet traffic metric. So, what does Ello have to offer? Simple, beautiful and ad-free: this is the tagline, and it sums up the aesthetic pretty accurately. The question is, does it offer enough of a different experience, or fulfill a need that Facebook fails to meet? Is it just a stripped back Facebook? Is that enough to mark it out? You may have tired of the ads and the negativity om your Facebook wall, or you may just feel that it’s time for a change. Ello, as an invite only site had a bit of cache, and when some of my friends and some of the writers and artists that I follow started to talk about it, I wanted an account to. When someone offered an invite I leapt on it and signed up, made a couple of posts, and then nothing. The advertising, via word of mouth (therefore not bearing the stigma of Facebook’s all out commercialized onslaught) was genius. The creation of a sense of rarity, where not just anyone could join strung a velvet rope around it – again, great marketing. Pretty savvy for a site claiming an ad-free status, right? So, you’re in through the gate, and you are able to explore the rarefied atmosphere of this online gated community, what then? What does it actually amount to? What makes it a valuable piece of cyberspace real estate and not just another link dump or forum choked with geek-fodder and emo poetry? Novelty burns out pretty quickly, and you end up with so many social media accounts that unless there is something attractive about the presentation or some hook that really pulls you in, then it goes flat pretty quickly. After the initial flurry I haven’t heard that much about it; I haven’t felt overly compelled to be on it. I don’t hate it or anything, but all the people I was friends with on Facebook were still on Facebook, and one more thing to log into and keep alive was like the proverbial Tamagotchi that broke the camel’s back. It may be a non story that just fizzles out, or maybe something surprising will happen. 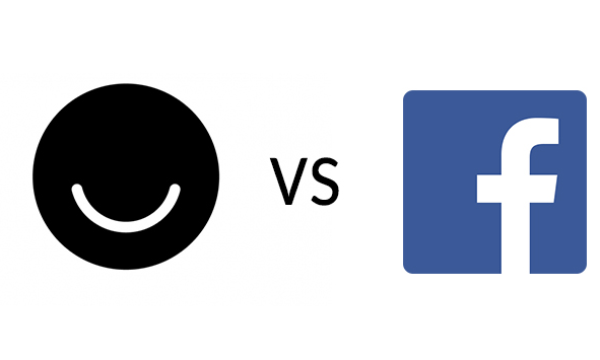 Facebook’s continuing move to rule the social media world looks like the unstoppable force, and as much as I like some things about it, I don’t see Ello as necessarily being the immoveable object.